You and your online Privacy : Data Privacy Day. Everyone's trying to track what you do on the Web, it's no secret that there's big money to be made in violating your privacy. "One of the most invisible things about the Internet is that there are hordes of robots constantly scrutinizing your aggregate online behavior and determining whether you fit a certain profile.. What determines whether you look like you have something to hide? The robot builders have it in their best interests to keep that secret: otherwise, the people with something to hide would simply start gaming the system. Yet this can also result in a chilling effect: innocent people self-censoring their online behavior based on what they think the robots might be looking for." says Atul Verma (@toolness) in his write up about why privacy matters. Sometimes data privacy can be a juggling act in multinational organizations when it comes to fulfilling the needs of the organization and complying with local privacy laws. Ultimately, data privacy boils down to protecting the rights of the individual to prevent others from stealing their identity, knowing their personal information and much more. 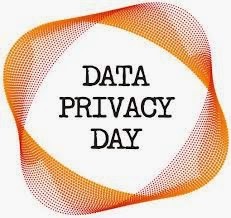 Data Privacy Day: What I can do? Always use a secure browser. 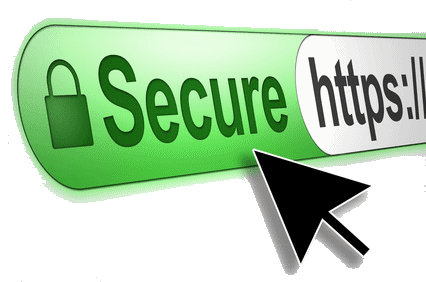 Look for “https” at the beginning of the web address (the “s” stands for “secure”). 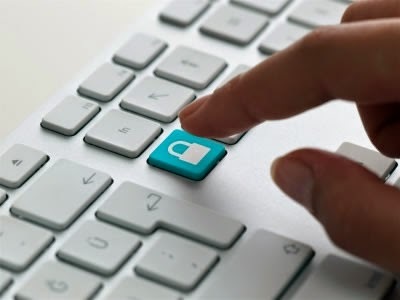 Access your accounts from a secure location, using computers and networks that you know are safe and secure. 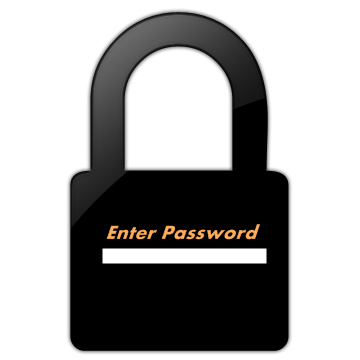 Avoid using public networks and always look for the padlock icon in the corner of the browser, signaling that the website is encrypted. Your passwords should be more than 6 characters and contain letters, numbers and special characters. Don’t use personal information or dictionary words. Hackers use software to enter random dictionary words to help them determine your password. Firefox can save usernames and passwords that you use to access online services, such as banking and email websites. If you share a computer with anyone, it is recommended that you use a master password. Go through your privacy settings on each site and determine what is a good amount of privacy protection. Consider keeping your profile limited to only certain groups or friends. Never post your personal information such as Social Security number, date of birth or your full name in a public place. A search engine that does not collect or share any of your personal information. 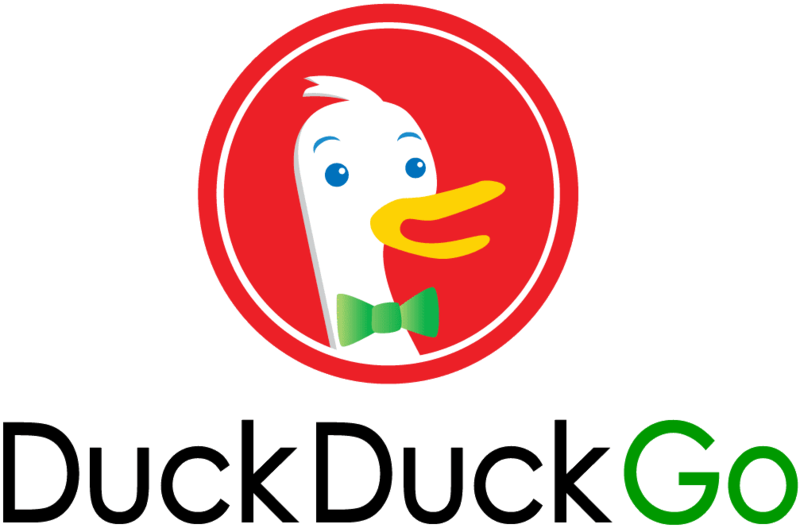 A search engine which has no search history, profile or anything else stored, sold, or given to third parties. Sounds like no search engine like that exists? If you receive a suspicious email from a business and you’re not sure if it’s legitimate, close the email, open a new browser, type in their web address and contact them through their customer service. You should know that scammers are real and they will try to steal your personal information if they come across it. Never give out your personal information over the Internet, phone, mail or via text message, unless you know exactly who you are dealing with. Keep yourself safe online. How? 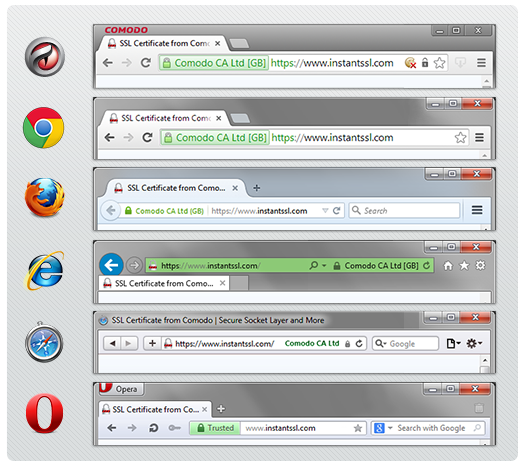 Turn on cookie notices in your Web browser, and/or use cookie management software or infomediaries. Don't reveal personal details to strangers or just-met "friends". Keep a "clean" e-mail address. Realize you may be monitored at work, avoid sending highly personal e-mail to mailing lists, and keep sensitive files on your home computer. Beware sites that offer some sort of reward or prize in exchange for your data. Be conscious of Web security. Be conscious of home computer security. Examine privacy policies and seals. Shopping online and using e-commerce sites has become a frequent activity online. Most of us shop online for various reasons. While doing this do we think about our data privacy and security. Below are some basic tips to follow while shopping online next time. Look for the Lock: Never ever, ever buy anything online using your credit card from a site that doesn't have SSL (secure sockets layer) encryption installed—at the very least. Don't Tell All: No online shopping store needs your social security number or your birthday to do business. Disregard any unsolicited or t suspicious looking pop-ups that appear during your online banking/shopping session. Privacy and Security being an important part of our online lives, all the netizens should know how to handle it and keep the web healthy. Start or join in a local/global discussion about data privacy. Host an event teach others about what is data privacy & why does it matter. What we are doing today, join us! Have a question about data privacy? Send us your questions using #TeachTheWeb or on discourse http://bit.ly/1yIhUtn and we'll ask them! Lightbeam visualizes the relationships between the sites you visit and the third party sites that are active on those pages. Firefox Interest Dashboard provides a colorful and interactive view of your interests based on your browsing history. serve it with a more detailed workshop. should follow to do so. Will breach of your online privacy matter to you? What methods do you use to secure your online presence? What if all you read write and all your online activity is being watched, will it bother you? gave some interesting responses with a mixed YES* and No*. an insight on what the audience is thinking before attending the workshop. community members to take the reins in their hands and drive the workshop. Hence we listed out our workshop bullets(topics to cover) and delegated responsibility of each. Hack the web using Webmking tool X-ray goggles. Follow The Privacy and Security Teaching Kit. with importance of privacy and security of the online users. X-ray goggles serve the basic purpose of understanding the web's basic building blocks. "If we understand and know, what something is made of, we have a better control over it." steel. Which one would you trust (considering you have option of dodging only one). Exercise facilitated by Mayur Patil. 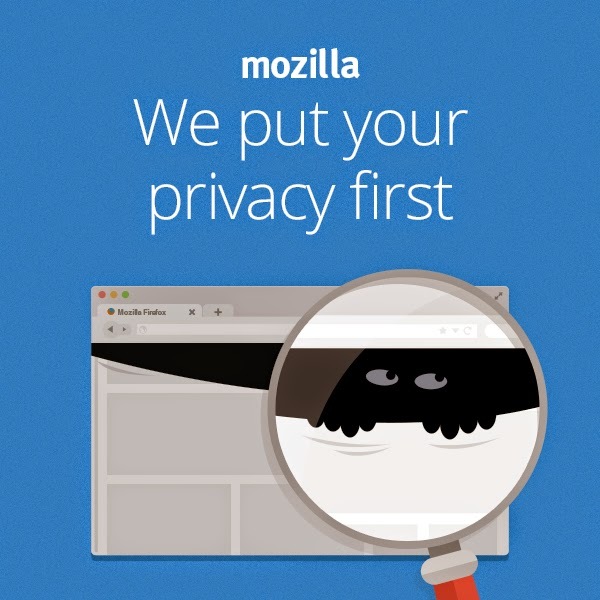 "about:permissions" facility provided in Mozilla Firefox. store passwords, set cookies and more. 'about:permissions' into the Location Bar (address bar) and press Enter. Exercise facilitated by Khushal Kariya. 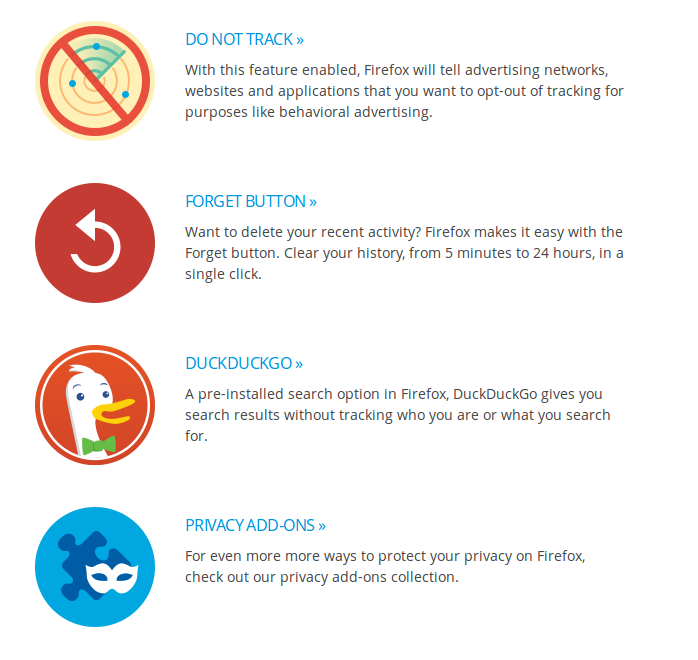 Private Browsing - Browse the web without saving information about the sites you visit. or the text entered, password and other choices made on the web. which sites and pages you’ve visited. Location Bar (address bar) and press Enter. Exercise facilitated by Vishal Chavan. there are a number of ways to change its appearance and behaviour. (address bar) and press Enter. Exercise facilitated by Ankit Gadgil. plain HTTP connection that's essentially what you're doing." says Scott Gilbertson in his blog HTTPS is more secure, so why isn’t the Web using it? your connection is secure and it's much harder for anyone else to see what you're doing. Protocol (http). HTTPS allows secure eCommerce transactions, such as online banking. Why do we need this extra 'S'? to minimize risk. Consumers submit information and purchase goods or services via the Internet only when they are confident that their personal information, such as credit card numbers and financial data, is secure. The solution for businesses reliant upon e-commerce is to implement a complete e-commerce trust infrastructure based on encryption technology. "Cookie" is a type of message that is given to a Web browser by a Web server. Yes, Cookies normally do not compromise security, but there is a growing trend of malicious cookies. These types of cookies can be used to store and track your activity online. Cookies that watch your online activity are called malicious or tracking cookies. These are the bad cookies to watch for, because they track you and your surfing habits, over time, to build a profile of your interests. Once that profile contains enough information there is a good chance that your information can be sold to an advertising company who then uses this profile information to target you with interest specific adverts. their online privacy and who collects data on them. policy change in the areas of tracking and privacy. Web users with greater control and transparency of their personal data. - from about Lightbeam. "One of the most invisible things about the Internet is that there are hordes of robots constantly scrutinizing your aggregate online behavior and determining whether you fit a certain profile." says Atul Verma in his argument about Does Privacy Matter? He further adds: "These robots don’t have to be working for the government, either. They could be working for, say, your health insurance company, looking for prior conditions that you might be hiding from them. The robots might even ostensibly work for “the people” in the name of transparency and openness." This event format is contemporary, essential and practical. Discussing Privacy & Security with peers, students, teachers and netizens is the need of the day. Shielding our online lives from undesired surveillance is what the world is fighting for now. 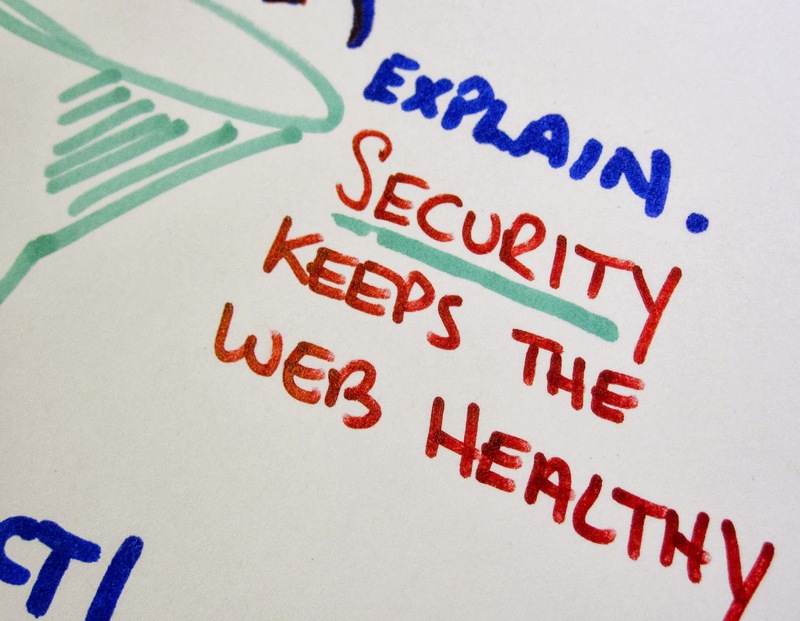 Understanding and getting to know about this is the 1st step towards securing the HEALTH of the web. Understand the Privacy and Secuirty of your online lives. Security and Privacy being an important part of our online lives, all the netizens should know how to handle it and keep the web healthy. 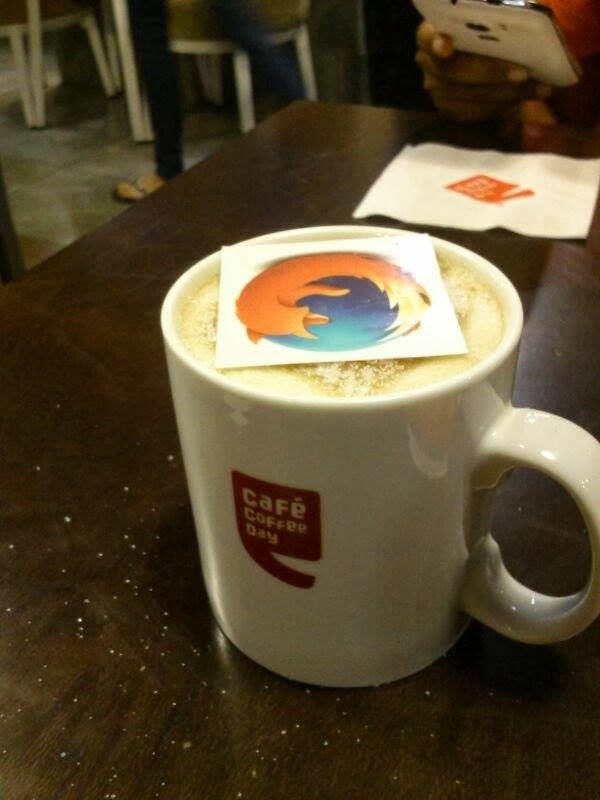 With the help of active and enthusiastic Mozilla Nasik community members, we decided to host the session on Privacy and security over a coffee on 18th Jan. The meetup was attended by 11 girls in total organized by the new Womoz volunteer from Nasik, Dhanashree Chaudhary. We had a talk about Open web and privacy issue faced by a normal user over the web. With a small dialogue with the girls it was clear that many of them did not do much to protect their privacy and security over the internet. The girls were delighted to know how they can make their content private and which has to be kept public. At the end of the meet some girls were inquisitive to talk with us about a potential session for all their classmates on the topic of Privacy and security. As always ready the community members instantly decided to conduct a session and had a meeting with the college management for the arrangement of the session. The management was helpful in providing a seminar hall with required resources for the session. The College principal was very happy to learn about the volunteer work by the community members. The event was scheduled for 21st Jan 2014. We couldn't make a swag request as the time gap between the event date and its discussion was very less. 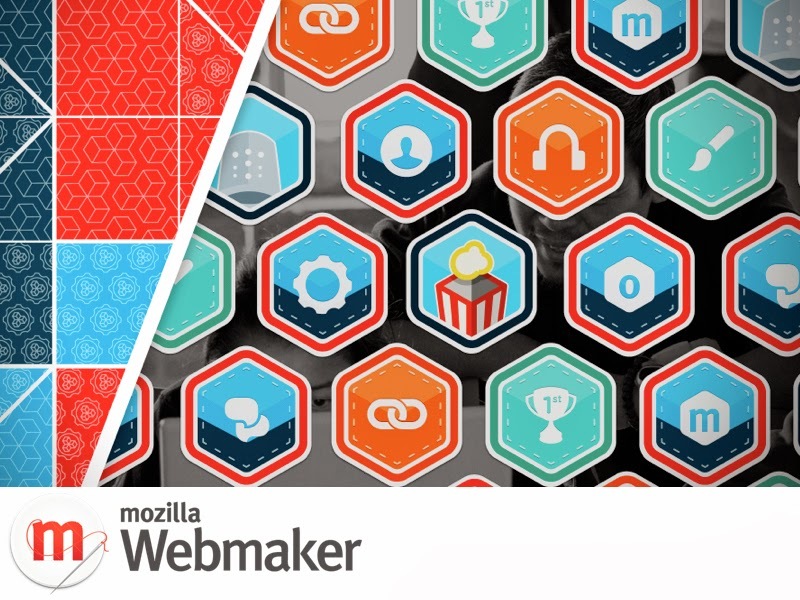 We all looked around our repositories for remaining swags and found some Webmaker sticker to give away. Done with all the slides, content and attendee preparations the session was initiated by me with a basic introduction to Privacy and Security over the internet. Mayur Patil took the stage with session on deeper understanding of Open source, its importance for students and developers alike. With introduction to Mozilla, Firefox Browser, Webmaker and Firefox Student Ambassadors (FSA) program, he was successful in keeping the audience glued to their seats wanting to know more. I then started with a talk on Understanding Privacy and Security and Taking control of your online lives. Part 1: Questions asked to the audience. Only adults are concerned with online safety? Activity online is mostly negative to my future? Parental controls remove most risk for youth online? Kids shouldn't have access to social media until they are at least 16 years of age and are aware of risks? Kids should be allowed to access the web at school? I protect myself/my family online by? A mix of positive and negative answers from the audience triggered the interactive session. Part 2: Discussion on some to-do practices over the web to secure your Privacy. Don't leave passwords in open spaces. Don't leave your computer unlocked. Secure ALL devices with unique and secure passwords. Don't click on emails, or links from people you don't know, or that solicit personal information. Don't share any photo publicly, you wouldn't share with your grandma. Never disclose your whereabouts publicly, or disclose you are alone. Respect the privacy of others, don't post or tag photos of people without their permission. Do not meet, or give out your full name, address, or phone number to anyone online that you don't trust or know in person. Part 3: Is internet a scary place to be? It was an obvious question which troubled many minds. Answer: Not at all, the internet is a fun place to be at. A lot of sharing, building and making is what makes the internet the happening place. Opportunity for all is the key. Be positive, enjoy sharing and making things made possible by the web - is the Mantra. Part 4: We then talked about the procedures we can use to secure our privacy on the web. Lightbeam addon gives the user a complete insight into the third party websites who collect the user's browsing activity with or without the user's consent. Displaying this information in an interactive visualization - Graph, Clock and List. The visualization grows with every site one visits and every request made from the browser. The Lightbeam demo turned many interested heads to think about their privacy online. Demo by basic remixing a news site. The aim of this exercise was to make the audience understand what the web is made of, how easy it is to understand it and how can we maintain our privacy and security while playing with it. Mozilla Nasik community is planning a more practical oriented handson event at CMCS college Nasik for the interested who like to build the web. The registrations soon will be out on the Mozilla Nasik Blog and Mozilla Nasik Community Facebook group. We plan to hack the web using webmking tools X-ray goggles, Thimble and Popcorn Maker. Implementing the Privacy and Security Teaching Kit by Laura Hilliger. 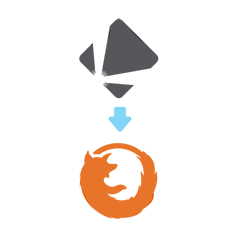 How to make optimum usage of Firefox, understanding about:config, about:permissions and about:privatebrowsing. 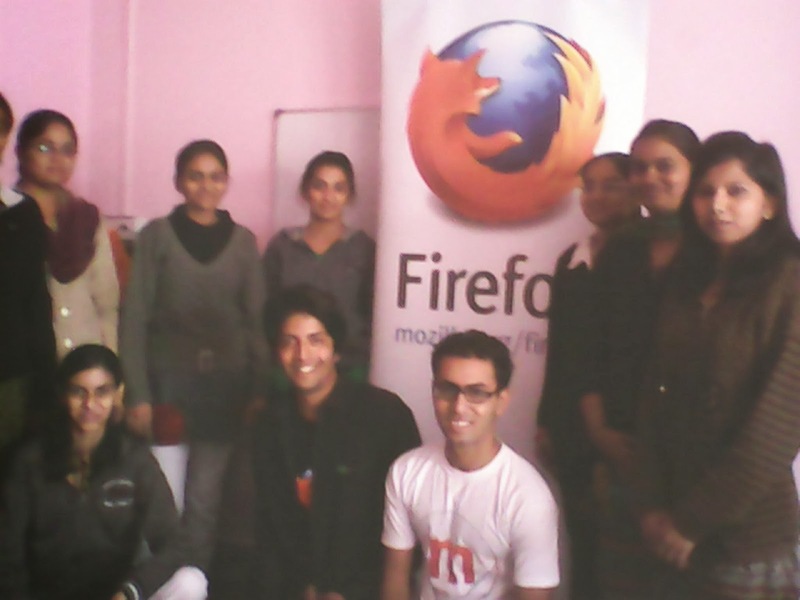 Create a FSA group at the college for further Mozilla activities. The end of the year 2013 nears and does the Maker Party 2013. The Maker Party being the most successful Webmaker collaborative event till date, saw a lot of teaching, learning and making. The shear idea of making what you want - the way you want strikes untouched chords of interest in many across the globe. The web is open and free. We should care about it by understanding it and building our own version of the it, drives the amazing phenomenon of the maker fair. This year in 2013 it all started with the announcement of theMaker Party 2013 (formally known as the summer code party). 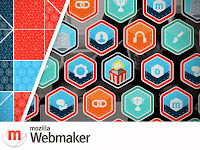 Webmaker : The idea of Mozilla, teach the web to the world with the core motivation of web literacy using connected learning is the birth concept of Webmaker. The whole idea behind the “view page source” where we can view, copy, paste and tweak the code to make it our own made the internet the revolutionary tool it is today. Webmaker follows the same idea. 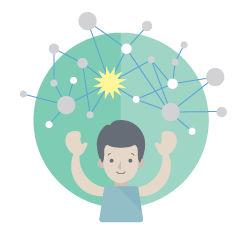 Webmaker enables people to make, remix and build upon the works of others by exploring the endless possibilities the internet offers. The easy to use Webmaker tools viz: Thimble, Popcorn maker and X-ray goggles offer learning and understanding of the technologies the web is built in while creating great content. Create an original, remix something fun or start from a template. Help us test and improve the site. 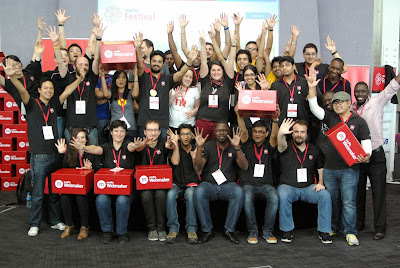 Webmaker mentors: With webmaker the mission is dedicated to keeping the web open, accessible and free. To accomplish this, there is a need of more than technology: there is a need people who are empowered to build and take control of their own online lives. The synergic working of a global community of teachers and learners makes webmaker a big collaborative effort. The teachers here become mentors and these mentors are the people who are interested and motivated to teach the web to others in an interest based peer-to-peer learning method. Read about: How the Mozilla community is teach the world to code and understand the web? I feel lucky being a part of the mentor structure. By teaching the web and evangelising the open web & open standards I can feel the positive contribution I am making to the betterment of the internet, the society and ultimately the coming generation. The Maker Parties: Mozilla kicked off the Maker Party 2013 with a bang on June 15 2013. Webmaker task force India decide to kickstart the maker party in India on the same day with Maker party Pune event. For the next three months, people around the world gathered at great events, making cool stuff and sharing it all online. The goal was to host a worldwide party celebrating all the amazing things we can make and learn thanks to the web. Being a part of this amazing collaborative effort called the Maker Party 2013, I had an amazing learning experience. Many event hosts were not formal educators, hosting successful maker parties they proved that teaching the web was easy, fun and very productive. 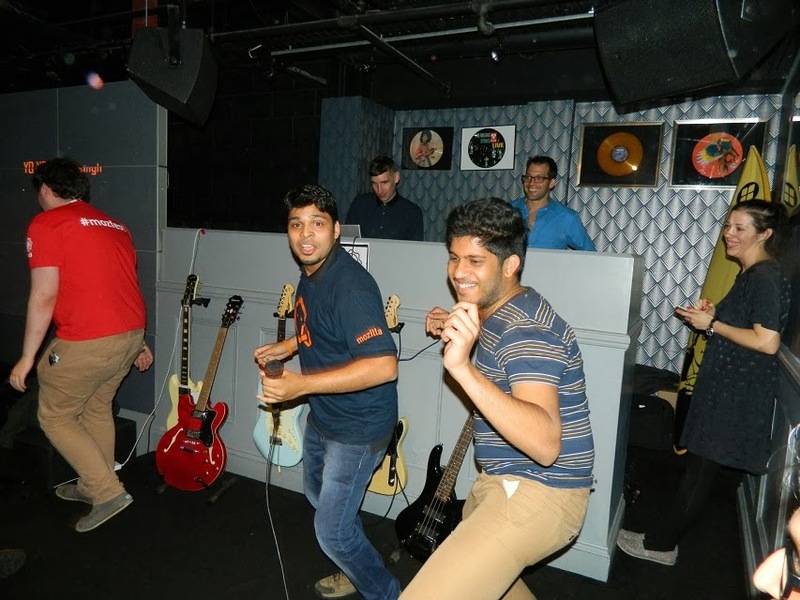 By connecting with other web enthusiasts eager to share skills, Maker Parties were a great way to gain experience and form networks. 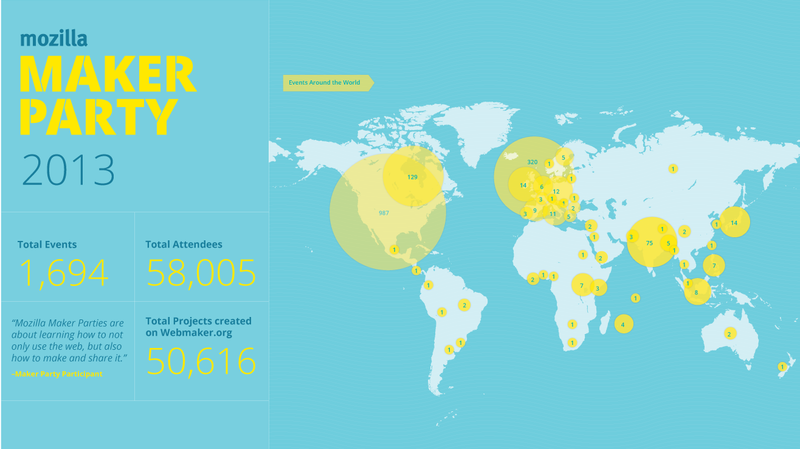 Near to 1700 Maker Parties were held in 330 cities across the globe. 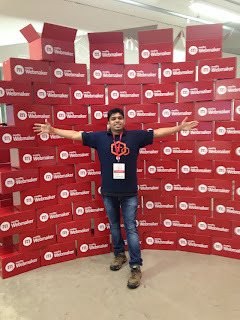 India was called the epicenter of the webmaker activities by one of the Webmaker’s community engagement personnel. Host your own event. It is fun to host your own event. Become a web mentor and share you skills with others. 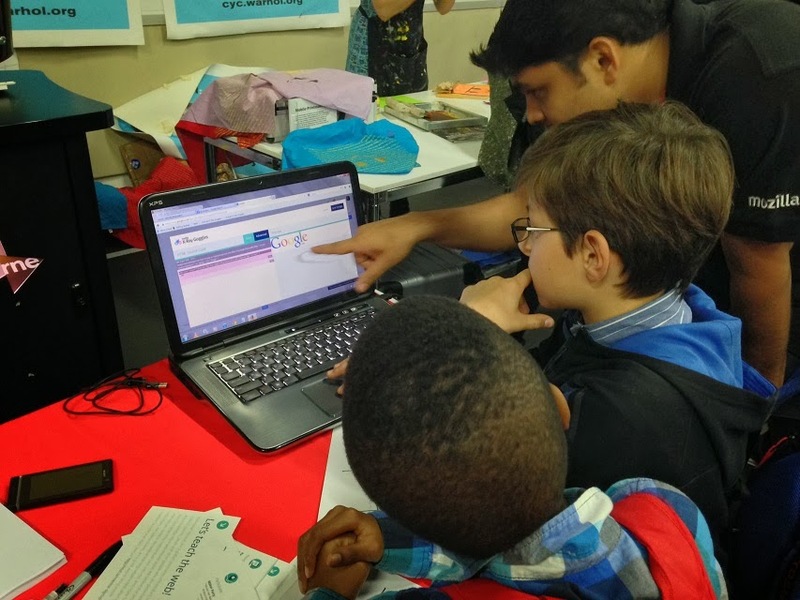 The Mozilla Festival: We visited, We made and We hacked together at the Mozilla festival. The world’s biggest maker party was all-n-all fun for the attendees. The Mozfest was a three day festival in London of making and learning. I was fortunate enough for being able to be a part of this amazing gathering of webmakers from around the globe. 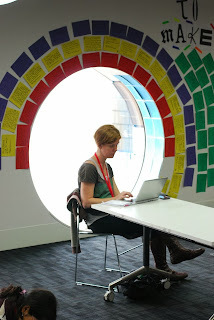 A big thanks to Michelle Thorne and Laura Hilliger for inviting me to the mozfest in the #teactheweb track. 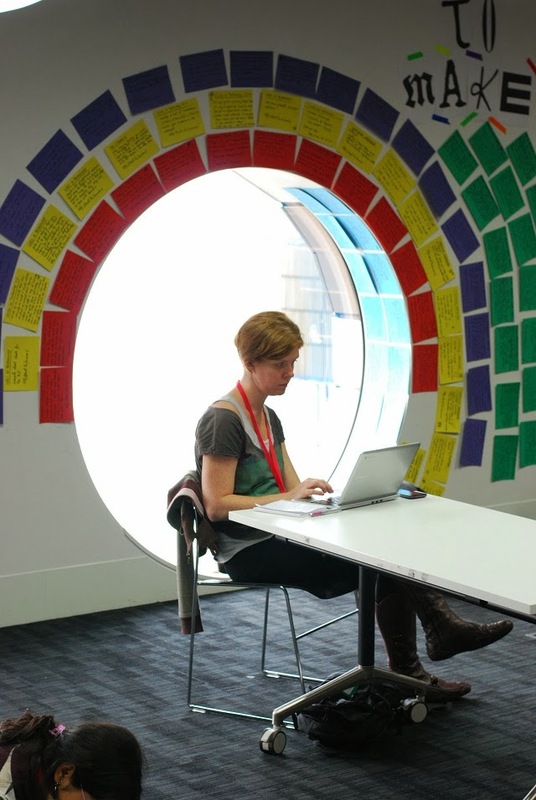 The venue Ravensbourne in East London was full of hacking and inventing together, building prototypes and curriculum for teaching everything from basic coding, to protecting online privacy, to integrating the open web into fields like journalism and science. 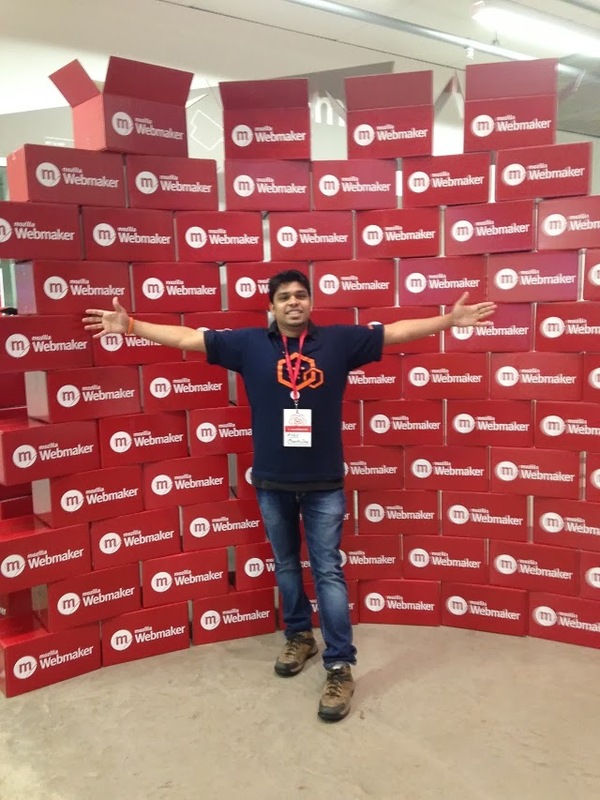 From talking about why I teach the web, Hacking some Tshirts, Playing with the LEDs on a biker jacket, earning open badges, mentoring at the webmaker tools pod to having the awesome #mozfest coffee the complete experience was overwhelming. Specifically talking about one such experience: It was day 1 at mozfest and at the teach the web track we had a webmaker learning booth. With a screen showing the live makes by the attendees it was one of the busiest booths. I was at the Student Ambassador’s booth, Jacob Caggiano (one of the most active contibutors to webmaker) came running in towards me and said “Ankit, checkout this amazing feature in popcorn its called hacking together ” (it was popcorn maker fussed with together.js to give it a new dimension of collaborative making. This was already implemented in Thimble and worked wonders.) I went with him to the now empty webmaker booth, we started hacking a popcorn make together and soon many eger and interested people started storming in. Many said “Wow this is such a cool tool, how can we do it?” and me and Jacob started teaching them the same. The mozfest attendees kept on hacking with the webmaker tools and sharing with an awe! I did feel the amazingness of the tools at that moment, with webmaker the maker gets the superpower of altering and remixing the web he/she wants. 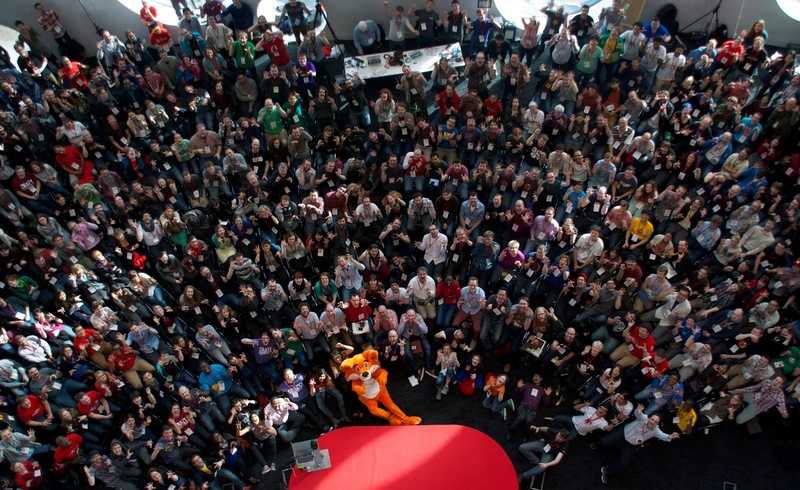 With 10 key tracks mozfest did induce a sense of belonging and care towards the open web. 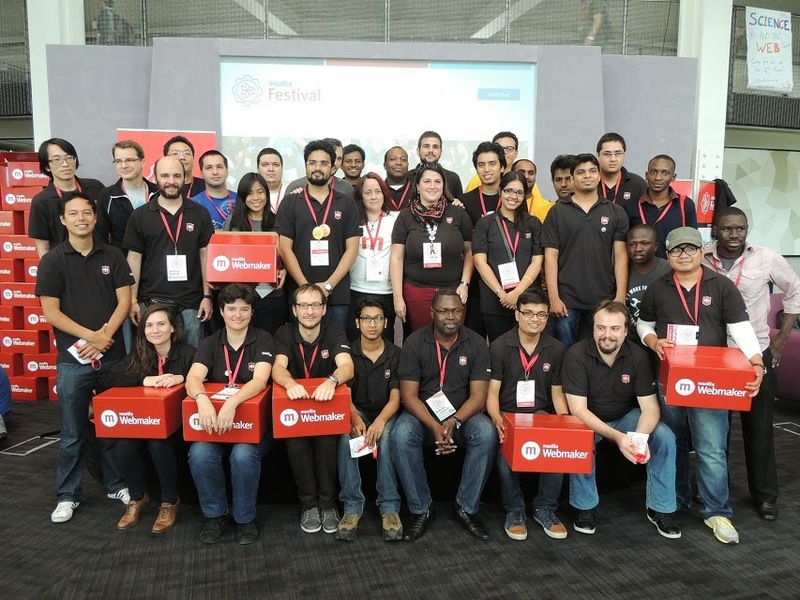 I as all other participants at the mozfest earned Open Badges, as part of Mozilla’s open source project to reimagine credentialing on the web. Many also issued their own Open Badges on-site using community-created tools like Makebadg.es and Achievery.com. A lot of badges, stickers and the awesome customized mozfest swag were the takeaways. The after event parties are always filled with fun and creativity. Singing the Lungi Dance I had a lot of fun making every body dance at the Alphabet in the O2 arena. Visiting the creativity & make filled mozfest and the awesome monuments & heritage filled London was indeed a dream come true. · What's worked for Webmaking in 2013? o The new webmker.org website. o The featured makes (gave a lot of confidence to makers to do more and make more). o Anybody can host a makerparty anywhere. · What have we enjoyed? o Hive and Webmaker party fusion. o Facilitating and speaking about why we should care about open web. · What made the most impact? o The mentorship structure has installed a sense of belonging towards webmaker and making, the maker party attendees also felt motivated with mentors around. o Themed maker parties made a huge impact, especially in India maker parties with theme produced more makes than non-themed parties. Eg: Independence Day Maker party. · What we are excited about for 2014? o JS teaching kits using webmaker. · Where are the biggest opportunities for Webmaking? o A defined common Structure for maker parties (this can be hacked to be practically possible in your region). o Focus on children and school students, teaching them to become mentors. · What can be done better or differently to get there? o Science + Webmaking – learning templates for easy understanding. Eg: Converting programing concept documents to thimble/popcorn templates. o Prioritise after event follow up. 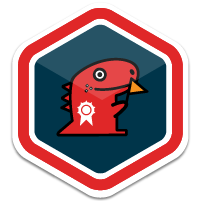 o Inclusion of open badges using step wise badge awarding process. Eg: Beginner, expert, theme maker, Yay your first maker! badge and more. o Easy event and mentorship guides for newbies. o Creation of slides and information templates for speakers and organizers (this will help them answer questions during maker parties).